The Mexican company organises the collection of plastic bottles through its own national network of collection centres. Pressed into bales the plastic bottles arrive at the GREEN Mind plant, where they are first singularised, and in the next step the labels are removed. After pre-washing the plastic bottles then are separated into unmixed fractions, and this stage in the recycling process is where Sesotec's VARISORT multi-sensor sorting systems are used. These systems are equipped with sensors for colour and shape detection, and with sensors for the differentiation of plastic types. Subsequent shredding of these sorted PET bottles then is followed by washing, drying, and screening processes. The PET flakes then undergo fine sorting with the help of Sesotec FLAKE PURIFIER sorting systems. The FLAKE PURIFIER systems at this stage separate coloured flakes, metals, and foreign plastic parts from the transparent PET flakes. Contact between Sesotec USA and GREEN Mind was established through the Mexican distribution partner Innovateck®. GREEN Mind has been using Sesotec sorting systems since 2012. 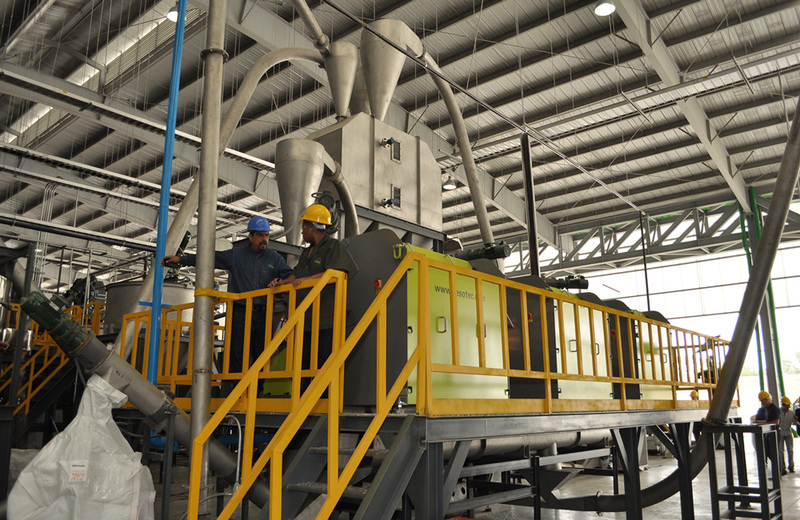 The Mexican company first invested in a flake processing line with a total of four recycling sorting systems. The excellent quality of the end products and the continuously increasing recycling rates in the year 2015 then were the reasons for GREEN Mind to build an additional sorting line and to integrate another five Sesotec recycling sorting systems in this line. For the purpose of machine protection GREEN Mind also uses seven Sesotec metal detectors. All this demonstrates how Sesotec's product portfolio ideally supports the complete recycling process. Confirms plant manager Saúl Solaeche: "We are convinced by the quality of the sorting results, and we are highly satisfied with the maintenance and service of our Sesotec systems. We shall recommend Sesotec in every respect."